The meet format will be the same as last year. 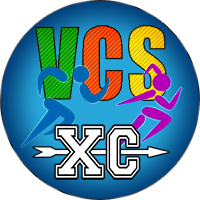 There will be 4 races – JV Girls (3:00), JV Boys (3:15), Varsity Girls (3:30), and Varsity Boys (3:45). Each team will select their top 7 runners for the Varsity race, and the remainder of the team will participate in the JV race. The only exception to this would be if an athlete has placed in the top 25 at any regular season meet but is not one of the top 7 on your team, he/she may choose to either race in the JV or Varsity. Please have your athletes race in their designated race. VERY IMPORTANT – Josh needs a new roster indicating which race your athletes will be competing in. Please fill out the new roster (listed below) with your athletes bib# along with their race (JV Girls, JV Boys, Varsity Girls, or Varsity Boys). Here is a link to your current roster with bib number information to use when creating your spreadsheet. The Championship roster is due by Thursday at 5:00 PM.